Are you single or dating, but dream of having a great marriage someday? Are you in a relationship, but sometimes it seems like every couple around you has it all together, while you can’t even agree on what’s for dinner or where to set the thermostat? Wanna know the secret? 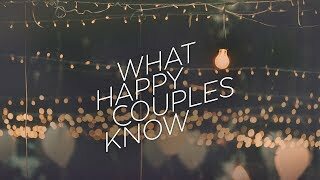 Join us in October as we discover what happy couples know! We all enter into a relationship and marriage with hopes, dreams, and desires that become expectations. But when you put those expectations onto your spouse, it turns your marriage into a debt/debtor relationship. Your relationship becomes marked by the belief that your spouse owes you something. So, how do we keep desires from becoming expectations? Checkout the previous messages below or on our audio podcast available here.